I've come to a conclusion that many Nigerians have a learning disability. That point system model was specifically mentioned in the document as Ibrahim Badamosi Babangida university Lapai's model. Theirs and university of Abuja's model was sampled to show how schools that traditionally do not conduct post utme managed their admission processes. JAMB then stated clearly that the model wasn't beneficial because it puts candidates with weaker WAEC grades and awaiting results at a disadvantage. 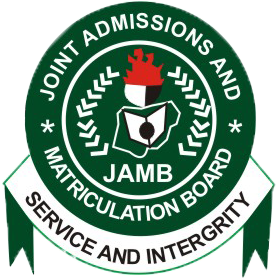 JAMB then prescribed that students would be offered provisional admission, after which they may proceed for verification of their O'level and A'level certificates at their various institutions of admission. This infers that Olevel would not be used as a determinant for admission, but most likely only JAMB results. I knew this shocking platform for gross misinformation would come up. If a learned person can't read, process and understand a simple 33 page document, what modicum of quality or intelligence is present in such person?